Shimmering polished nickel framed in crystal glass extends upwards on the Arlington floor lamp by Eichholtz. 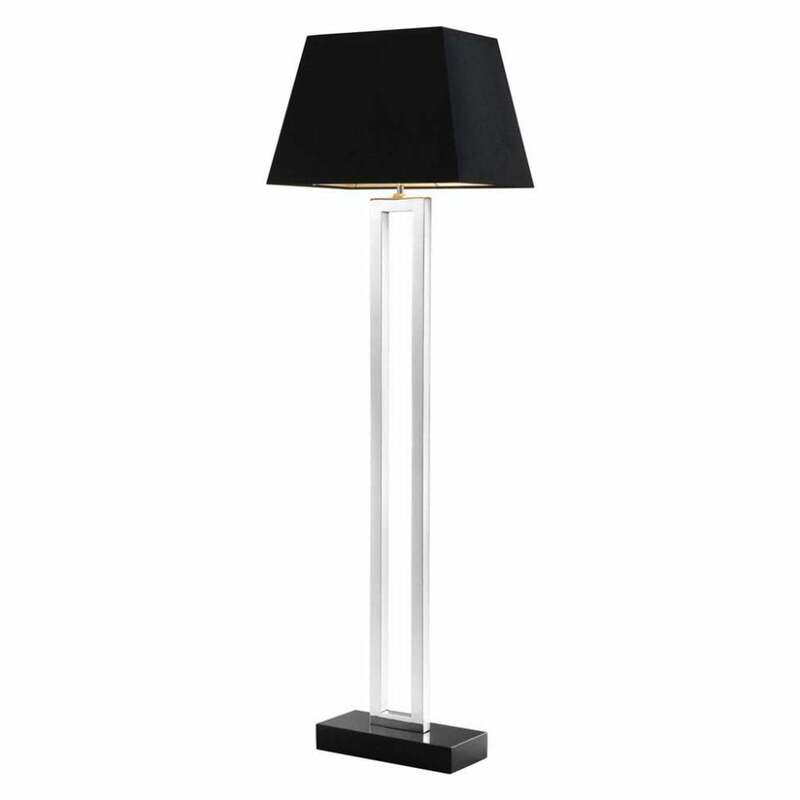 Sleek and stylish, the Arlington floor lamp adds shine to any living space. In contrast to the minimalist base, the lamp features a distinctive charcoal grey shade for a slick, contemporary look. Add the floor lamp to a dark area in your home for a striking illumination effect. The Arlington crystal floor lamp would be the perfect addition in a contemporary living room. Alternatively, it could be used to brighten a narrow hallway. The lamp is also available in a gold and crystal finish on the base. Style with the complementary Arlington crystal table lamp for an extra luxurious look.